My Kid Just Completed Addiction Treatment. Now What? My Kid Just Completed Addiction Treatment. Now What? My Kid Just Completed Addiction Treatment. Now What? Parents often feel uncertain and ill-prepared when their son or daughter has completed addiction treatment. Many parents expect their teen or young adult to be “fixed” when he or she finishes a treatment program. Unfortunately, this is not a realistic expectation. For many young people, a substance use disorder is a chronic condition that will require management into adulthood, and for some, throughout life. This is typical of chronic disorders. (For example, if treatment for asthma or diabetes were stopped, a relapse would likely occur.) So, with this in mind, how can you best support your child’s recovery in the days and weeks after treatment? 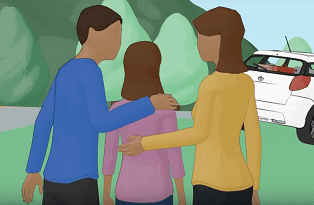 To help parents, we created a guide called Continuing Care. Usually the nature and extent of continuing care varies by treatment facility. Some treatment centers offer very little continuing care, others will offer more. 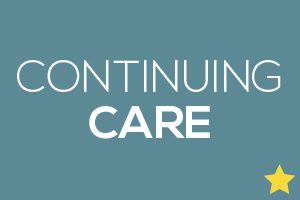 Most recommend a continuing care plan — often a 12-step program or less intensive care. Ideally, the time to start thinking about continuing care services is during treatment. Continued regular checkups and monitoring via drug testing provided by a professional. The intensity of the continuing care should adjust based on the results of the checkup. New activities your son or daughter enjoys that will bring him or her into contact with friends who don’t drink alcohol or use drugs. If the treatment program does not provide a continuing care plan, then you and your child will need to develop one, preferably with a counselor or medical professional. If your son or daughter has a probation officer, you may be able to work with this individual. It is not always easy for those in recovery to stick to a continuing care plan and it will likely require effort and support from all involved — especially you. Remember, continuing care can be time-consuming and emotionally difficult, but it may be the best investment you can make. What are your family’s experiences with continuing care or aftercare? Please share in the comments section below. This post was originally published in 2016 and has been refreshed and republished. I’d recommend that family member effected by someone else’s substance use consider attending a community support group fellowship like NarAnon/AlaNon. Partnership has become such a wonderful resource! I also work in the addiction field and it is not always easy for people (in such vulnerable states) to find trusted resources. I constantly share your articles on social media and I will also share this one!